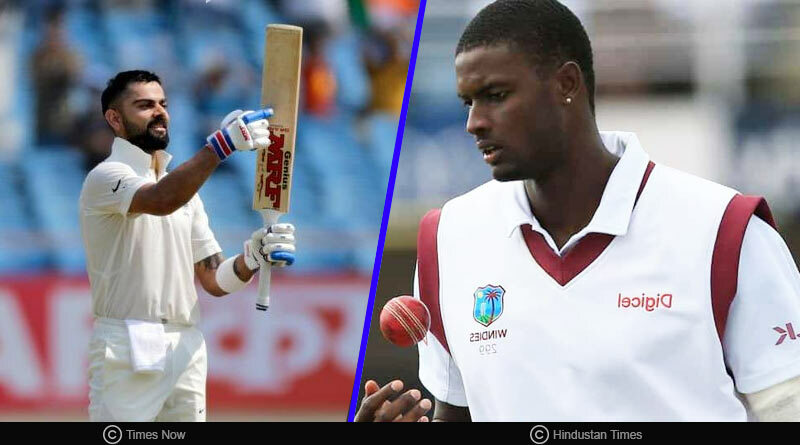 Coming back to India Vs West Indies Second Test Preview, having defeated West Indies comprehensively in the first test match to record their biggest ever test win, India goes into the second and final match of the test series against the West Indies as overwhelming favorites. Wrapping up the first test inside three days to win by an innings and 272 runs, India has decided to stick with the same 12 man squad as they look to wrap up the series. With a tough and grueling series against Australia on the horizon, India will be looking to chop and change come tomorrow. In a bid to try out some new faces to get their 11 right ahead of the test series in Australia, we expect the Indian side to give a debut to Mayank Aggarwal. Captain Virat Kohli could very well be rested come the 12th of October in a bid to give the mercurial batsman as much time off the pitch in what has been a long and tough season for him. Mayank Aggarwal will be the likeliest option to replace him. The opener has been in devastating form in the domestic circuit and although he will not open the Indian innings, a place in the middle-order is waiting for him. A surprise inclusion for the second test was that of Ajinkya Rahane. Having endured a poor year that has seen Rahane score only two half-centuries in 14 tests, Rahane failed to impress against a listless West Indies side in Rajkot as well, getting just 41 on the board. Given an extended lease by the selectors, the Hyderabad test will be of utmost importance to him. Not only will he lead the side in Kohli’s absence but will also need to step up as a batsman and regain some of his lost forms. The rest of the Indian batting order should remain unchanged as India will look to stick with the same winning formula that helped them amass 696 runs in the first test. The bowling unit will also not be tinkered with. Ashwin and Yadav will continue to hold fort in the spin department with Shami and Yadav leading the pace department in the absence of the injured Ishant Sharma and rested Bhuvaneshwar Kumar and Bumrah. For India, the script will be simple. Maintain the same intensity shown in the first match and the match will be in their grasps. A similar batting and bowling performance as shown in the first test match will be tough for a West Indies side to overcome, who have in recent times struggled in the longest format of the game. India 12-man squad for 1st Test: Virat Kohli (c), KL Rahul, Prithvi Shaw, Cheteshwar Pujara, Ajinkya Rahane, Rishabh Pant, R Ashwin, Ravindra Jadeja, Kuldeep Yadav, Mohammad Shami, Umesh Yadav, Shardul Thakur. For more details on India Vs West Indies Second Test Preview and related updates, like and subscribe to tentaran.com.